Environmental folk and folk blues with a touch of humor and a twist of satire. Moving to Florida to develop and share my music meant leaving our beautiful Virginia home on five wooded acres not far from the Blue Ridge Parkway. But with almost a hundred original songs in the bag and the experience of entertaining crowds at festivals such as the recent 55rd Florida Folk Festival, I know that I'm walking the right path. The support of fans who enjoy my mix of environmental folk music, social satire, and blues-with the occasional country, rock, or pop tune thrown in for seasoning-has been fabulous, allowing me to grow as a performer and as a songwriter. 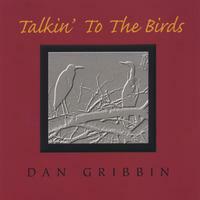 Most of the songs on "Talkin' to the Birds" grew out of my first year of returning to Florida after thirty years and enjoying the antics of the wonderful shore birds that I observed every day. And of course the antics of some nutty people, including myself. hey, you can't do wrong by me. i last wrote to martha when you were leaving on a cruise. i have moved into a beautiful classic six world war i era apt. where you and martha are always welcome. i hate to tell you but i am still completely overwhelmed by her combination of beauty, intelligence, and that southern thing i can only describe as "grace". i absolutely adore her. flat out. if you should get this message please tell my beloved martha that i am volunteering with catholic charities of nj as a french/english trans. at the detention center (really a prision) where africans are sent if they enter the country illegally. if they are escaping political persecution they have a chance of obtaining a visa to remain in the us, at least for a while. if they are running from the law in their native country or simply trying to sneak into the us, obviously they are deported. i translate for attys. who represent those claiming policical persecution and even more serious, i translate for the doctors who examine them for signs of torture. this is all too common. i had a young man recently who had over 200 cigarettes put out on his body. (this is always the case: it is a common practice). we have 11 year old boys who have their arms cut off above the elbow so that they cannot be forced into joining a rival group in the civil wars all over africa. in one case, a very arrogant md who was chinesse and barely spoke english himself had stated that he felt the man detained was not a political prisioner but "bogus". the judge usually sides with the md. in this case, the prisoner had cigarette burns which the md said did not look at all like cigarette burns and thus, he wrote to the judge saying the prisioner was lying. he would not listen to me although the judge certainly did. the work the gentleman was using is the word i always heard in france for "joint" as in pot. the burns did not look like they were from a standard cigarette produced such as kool or marl., etc. the burns were smaller and not uniform. the prisioner explained to me that the soldiers who burned him were picking up butts, removing any remaining tobacco, and then rolling them as joints. the man had burns from electrical wires placed on him and his nose was broken but the md said, "if he lied about the cigarettes, he is a liar, period". i wrote the judge who asked me to come and see her. once i explained that the man was indeed telling the truth and the cigarettes had simply been rolled, she agreed with me, gave this poor man a visa, and fired the md. it turned out that later information revealed his story to be completely true. so, i can understand and speak in french well, but of course i don't get to write it and i am intimidated by writing to my beloved, beloved, beloved martha. i a.d.o.r.e. her. i just wish she would send me the photographs of the wedding again because i had the trojan virus on my computer and all the beautiful photographs of her were ruined. i am doing very well. i will have to send you copies of my newest treasure: i got signed, framed copies of the crown prince and princess of yugoslavia/serbia and another with all the young princes, also framed and each had signed his name. i know the vice president of the new government there. i raised money to build a school in poland (and got a free two week holiday there from lot airlines as a thanks) so now i hope to work with the crown princess (soon to be queen) on another children's project. the crown prince alexander ii was born at buck palace during wwii and his godmother and first cousin is eiir. his other godfather was george vi. queen elizabeth celebrated her 80th birthday at the white palace in belgrade where i hope to have tea with the crown princess. i am just having a great time. i once told you that i loved some majestic hymn such as "not alone for mighty empires" or such because the organ was so good in the chapel. you replied, "not me! i like..." [little brown church in the wild wood]...or something along those lines and i was quite shocked although i never said anything, naturally! but when i saw and listened to your music which is really cool, i remembered this. don't worry, it's nothing but an eternal crush and besides i have lived with the same man for over twenty years now, but if there is any woman i ever thought was perfection, 'tis the exquisite creature you married! and the charm of that woman! do give her my love plus overlook spelling as i am not going to edit this mess of a note!